On July 14, 2017 BC Hydro introduced a Wildfire Evacuee Assistance Program that will provide bill credits to customers who have been evacuated due to the wildfires in the Central and Southern Interior. 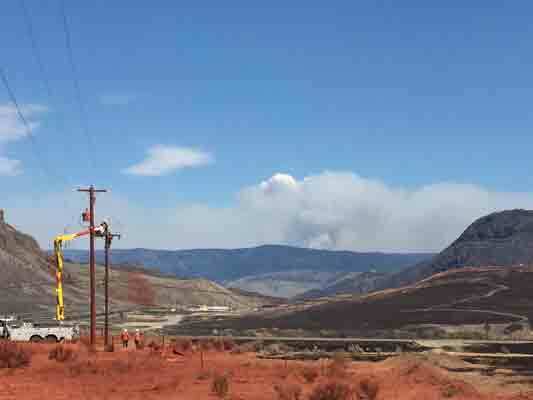 Over the past week, wildfires in the region have led to evacuations in several communities. BC Hydro is working with local authorities to identify residential and commercial customers located in evacuation areas and will apply an automatic credit to their account for the electricity consumed during the period they are out of their home due to evacuation order. The wildfires have caused power outages to about 7,000 customers as well as significant damage to the BC Hydro’s system, including damage to 210 power poles, 93 cross-arms, 115 spans of wire and 33 transformers. About 100 BC Hydro crews, including crews from Vancouver Island and the Lower Mainland, have been working around the clock to repair and replace equipment. The communities hardest hit by power outages are Ashcroft, Cache Creek, Williams Lake and 100 Mile House. About 170 customers remain without power as of Friday morning. Access to some areas is still limited due fire activity and heavy smoke.